It’s our Summer Events issue: the June 2018 newsletter is now online! What’s going on in University City this summer? Read all about it in the June newsletter. This issue features the 4th of July Celebration at Standley Park. And new this year is Snow in July! That’s right, the weather predictions are already in. The Snow Playground is sponsored by Nancy Beck realtor. 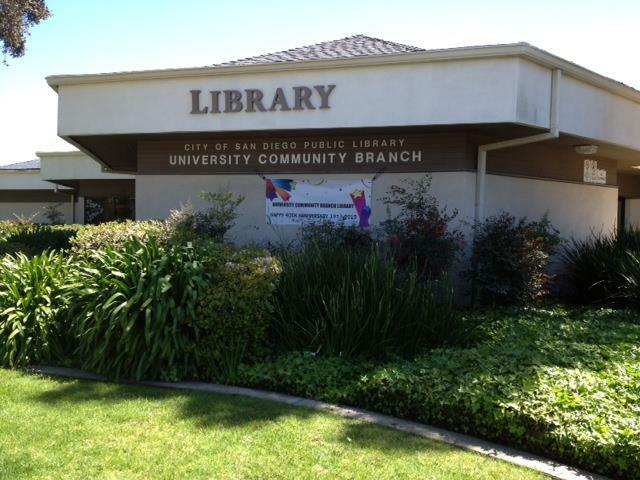 You’ll also find neighborhood watch updates, Friends of the Library book sale and library programs, the Summer Concerts and other programming at Standley Park, updates from MCAS Miramar, UCCA’s meeting synopsis, and UC’s new Backyard Fruit Exchange. We welcome three new businesses to our community including UC Yogurt, Cirque-It Fitness, and C Yoga. Meet some of our talented University City neighbors, get ready for the San Diego County Fair, the latest on Short Term Vacation Rentals STVR, the June 5 primary election, and much more! Our color pages feature County Fair banners, Party at the Cove, Neighborhood Watch Summit and painted utility (electrical transformer) boxes. 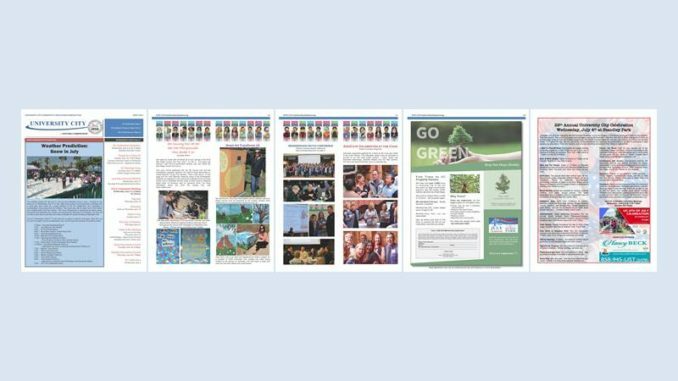 Please check out the advertising pages including information about free trees for University City available through the Trees 1000 Foundation. It’s all available here on the UCCA’s website and will be delivered to homes in south University City beginning Saturday, June 2. Print copies are available late Friday afternoon at both the Standley Recreation Center and the Library on Governor Drive.